Today I had a date with my son Zane and his class to the Newaygo County Museum. This was my first time there and I look forward to going back to look around. When we got there we were greeted by Diane Horrisberger who talked with us about how trading used to work. She talked with us about the difference between needs and wants. Something I found interesting was when she was talking about Needs. She told us a story of how a study showed that babies in an orphanage were dying even though their basic needs of food, water and being changed and bathed were all met. They could not figure out why the babies were all dead within a year of birth and it came down to one thing they had not had. LOVE! Apparently Love is a basic human need. Anyways I won't summarize her whole presentation and give it away I will save it for you to hear on your own if you ever visit. 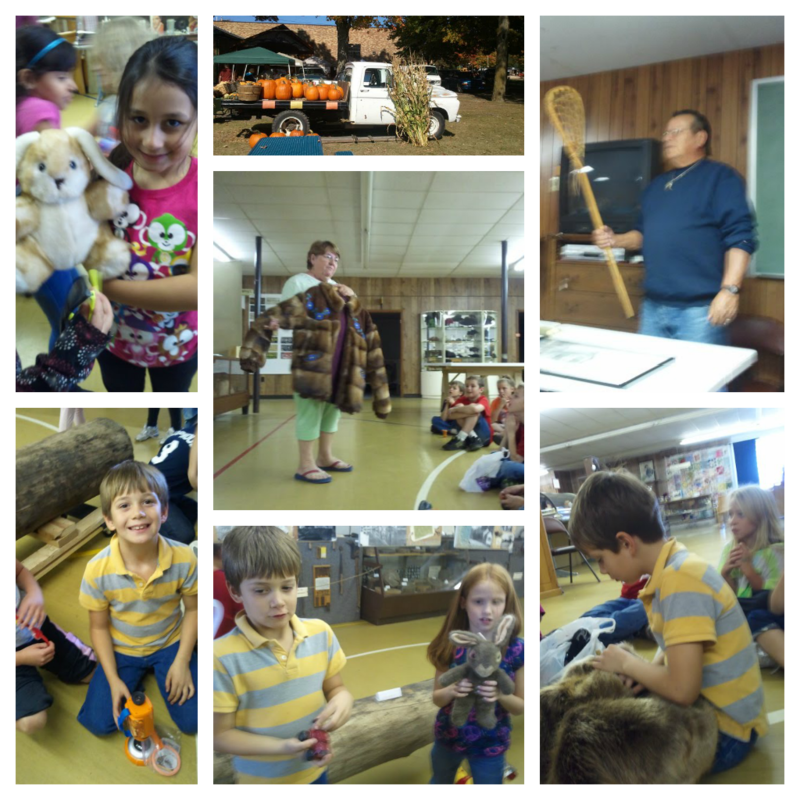 We then were able to meet 2 Native Americans Gene and Frank that talked to us about living on a reservation and what that was like for them. One of them spoke about the spiritual aspect of being native american and different ways they had to thank each other and mother nature. It was funny when one of the children raised his hand to ask "What did you do before you were an Indian?" We also had Grandparents day for the 1st graders this week which I enjoyed giving Grandma a ride to! 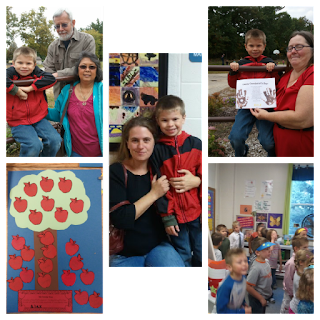 I am pretty sure that Alex had more Apples on his family tree project than any other student! :) We were lucky to have 3 of us there to help him cut them all out!